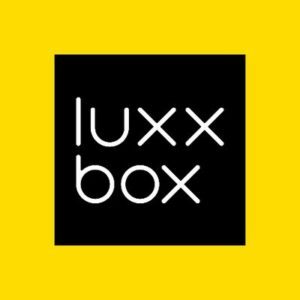 Luxxbox is a contemporary Lighting and Furniture Design company located in Eagle Farm, Brisbane. We are committed to supporting local manufacturers and in doing so we are continually evolving in design and production techniques. As a result, Luxxbox products embody a uniquely international influence which is being appreciated across the globe for its refreshing take on modern, cutting-edge design. An opportunity exists to work in our manufacturing facility at our Eagle Farm factory location. Due to our desire to keep high quality, attention to detail manufacturing of designer products in Australia, we are seeking a qualified Cabinet Maker, Joiner or shopfitter to get in on the ground floor helping us create and produce our joinery and timber furniture pieces. Create designer furniture projects for world-class multinational companies. Work with the latest materials and a team of the best local component suppliers. The work will be varied, often working on custom projects for hospitality, office and education projects. We manufacture and/or assemble our own range of designer furniture and lighting which this role will be intimately involved. The role is based at our Eagle Farm factory, with generally no site work. Luxxbox is an exciting company on the move and this role is not for your average kitchen cabinet maker. You will need to know about furniture joinery techniques as well as cabinet making. You will need an eye for detail and quality. Near enough isn’t good enough. You need to manage your time and get the job done. You need to be energized and motivated to help develop local designer furniture products in a climate where everything is going offshore. Other skills like the ability to weld or work a lathe would be desirable but not necessary. To put it succinctly, we’re looking for an all-rounder with an energetic attitude.